Inventory management goes much further than merely keeping on track of products. Inventory management tools and software eliminates much of the guesswork, giving companies greater control of their business. Take a look at the following 25 designed to streamline inventory management for small businesses. Unleashed is an inventory management system that allows small businesses to manage inventory with ease and from virtually anywhere. The system’s cloud-based dashboard provides businesses with an instant account of revenue, stock, and profit. The platform has a range of affordable pricing plans starting from around $60 a month. Hailed as the smartest shipping app in the world, Ordoro is a software app which provides businesses with a cost-effective solution to goods inventory for shipping operations. Ordoro’s basic pricing plan starts at $25 a month. InFlow Inventory provides businesses of different industries with a comprehensive online inventory management system. Users can receive orders, reorder stock, manage products and much more with this easy-to-use inventory management system. InFlow offers a free package, designed for users who have just started a small business. If your business uses QuickBooks you can integrate QuickBooks records with ease into the AdvancePro system. AdvancePro provides a series of high-performing inventory and warehouse management tools that can be tailored to a small business’s needs. AdvancePro’s inventory management tool’s pricing is competitive and dependent on the package. Designed specifically for small businesses, Goldenseal Accounting offers a full suite of accounting and inventory management services. The system is especially suitable for construction firms and other businesses that bill for materials and time. The software’s basic version starts at $495. If you’re a small business operating in retail, wholesale or mail-order, NCR Counterpoint offers an intuitive solution to inventory management. 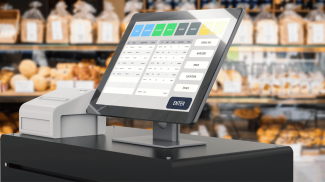 This cloud-hosted point of sale software provides automated purchase orders and a host of payment processing features. NCR’s inventory management products are competitively priced and realistic for small businesses. This online application boasts multi-channel selling and powerful inventory control, allowing small businesses to manage orders and inventory with greater proficiency. Zoho Inventory is affordable for all sizes of businesses, ranging from $29 per month for a basic package to $249 per month for a professional package. JumpStock offers an all-inclusive inventory management system, which takes care of a business’s full inventory requirements. JumpStock is competitively priced, costing $99 a month. Small businesses can keep on top of inventory management with ease with the Lettuce inventory app. The app integrates systems including shipping, payment processing, tracking, customer relationship management, and more. Lettuce is affordable, starting from $59 a month. For businesses with 5 – 99 employees, Wasp Inventory Control provides a user-friendly real-time approach to inventory management. The system includes everything a small business will need for its inventory management, including a mobile device, printer and supplies. Wasp’s stock management options and pricing ranges depending on whether a business opts to complete barcode systems to just inventory software. Retail Inventory is an app which operates as a comprehensive inventory management system, including scanning barcodes. Pricing starts from $20 per month for the Basic package to $75 a month for the Premium package. Infoplus provides small to medium-sizes businesses with an efficient inventory management system. Infoplus is predominantly web-based system which is particularly suitable for businesses that operate in retail, electronics, consumer goods, food and beverages and more. Infoplus offers pricing plans for each stage of your business, starting from $379 a month. For small businesses that use QuickBooks, SOS Inventory integrates with QuickBooks, offering additional features, including sales orders. Businesses can also manage their inventory in multiple locations and track cost history. The SOS Inventory plans range from $25 – $200 per month. For businesses operating retail distribution, manufacturing and ecommerce fulfilment, this cloud-based inventory management system provides an efficient way to control inventory requirements. The system can be integrated with QuickBooks’ records. The Red Rock Warehouse Manager’s complete inventory visibility in the cloud is competitively priced for small businesses. TradeGecko’s inventory management software allows small businesses to manage stock and sales, automate shipping and create insightful inventory reports. Plans start from just $79 a month, making it an affordable option for small businesses. TRXio is a cloud-based inventory management system that assists businesses of all sizes and industries in managing their inventory demands. Businesses can take advantage of TRXio software’s free 14-day trial before committing to purchase the software. 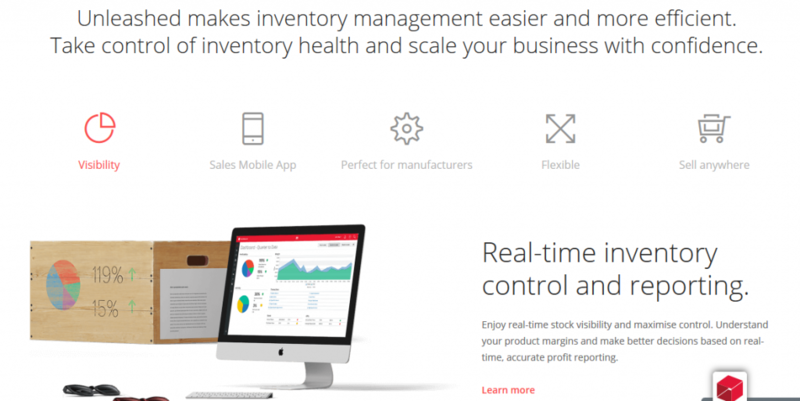 Delivered by Canvus applications, Stockpile is a free online inventory system dedicated to helping small businesses and at-home users save time and money on inventory tasks. The system has tons of useful features, including adding inventory, taking returns and recording sales and damaged goods. Fishbowl provides an affordable and robust inventory management system that’s flexible for small businesses and will grow as they grow. The software integrates with QuickBook’s with ease, syncing inventory and accounting data. Businesses can see if Fishbowl is the right inventory management system for them with a 14-day free trial. Losoftware is a free stock control software solution for small businesses operating in retail, ecommerce and serviced-based industries. The software is simple and easy-to-use, giving small businesses greater control of their stock. Cin7 is a fully integrated point-of-sale and inventory management system, which has real-time tracking of sales and inventory. Though its robust features come at a slightly costlier price than other systems, starting at $249 a month. If you run a small ecommerce business, OrderBot can automate the time-consuming fulfilling orders and shipping process. This inventory management system can create customizable packing slips. Due to its customizable features, businesses have to request a quote based on their specific requirements. With Stitch Labs, forward-thinking retail businesses can take control of their inventory from one convenient place. The platform allows businesses to manage inventory and order processing and sync availability across all sales channels and warehouses. Though Stitch Labs is not the cheapest inventory management system, starting from $499 a month. 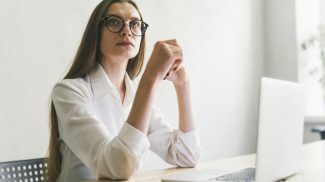 Clearly Inventory is inventory management software designed with “very small companies in mind.” The interface is simple to use, ideal for firms that don’t want to invest too much time getting to know new software. This inexpensive inventory tool allows small businesses to only pay for what they need as they expand. SalesBinder has all the basic tools a small business will need to manage not only their inventory but their customers, invoices. purchase orders and suppliers as well. 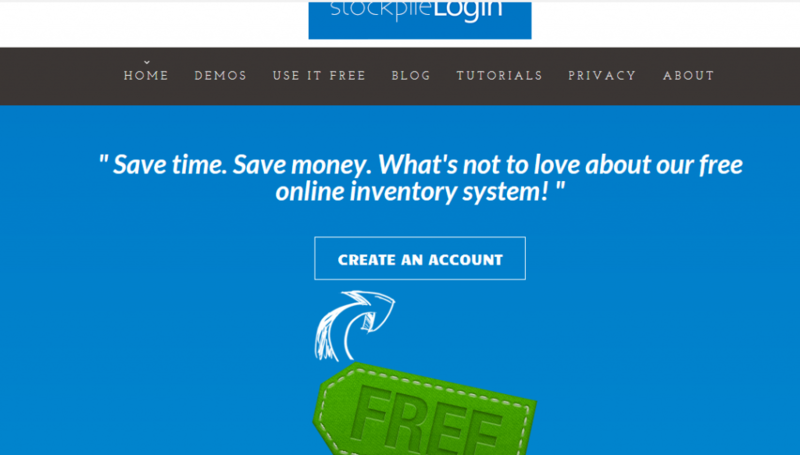 This all-in-one online inventory management software takes just 15 seconds to get started. There is a free platform available on SalesBinder, as well as a $19 per month Bronze package. Veeqo is a cloud-based, multi-channel inventory management app, suitable for small to large businesses. The system enables businesses to manage orders, inventory, purchase orders, shipping and suppliers with ease and convenience. Pricing is competitive and varies depending on a business’s turnover. Inventory management is very important especially for retail businesses. It is important to keep track about what you have sold and how much you have left. Gabrielle thanks for such a good list. Have you heard of EMERGE App? Wow thank you for the great list for Inventory Management for Small Business, But if you need more than accounting tools? Manage every aspect of your SMB with SAP Business One.